Keeping your skin well moisturized helps it to look younger. Which is why the regular use of a good face cream has long been a beauty essential for women around the world. But a moisturizer that contains vitamin C? That’s taking it to another level. You see, the anti-aging benefits of vitamin C for skin are scientifically proven. It can knock years off your face. It’s an excellent way to improve the appearance of lines and wrinkles on the skin. As well as texture and tone. It’s not unusual for people who regularly use a vitamin C moisturizer to look 10 years younger. But how do you find a good product? In this article, I’ll tell you the important things to consider before you buy. 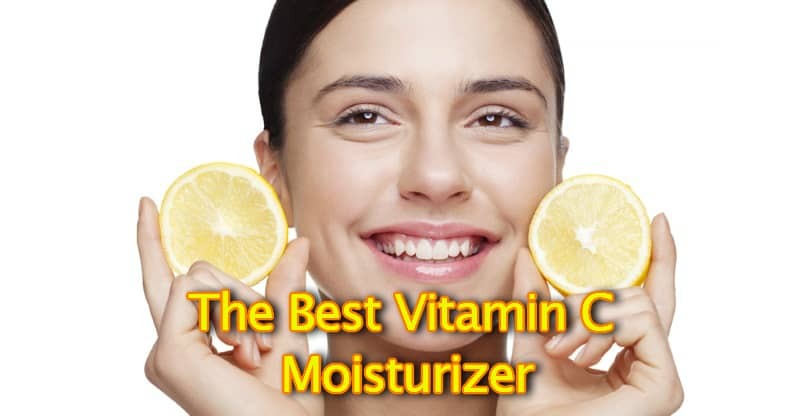 And show you my choice of the best vitamin C moisturizer cream for face care. 1.1 What type of vitamin C does it contain? 1.2 Are there any beneficial added ingredients? 1.3 Is there anything in it that you want to avoid? What type of vitamin C does it contain? Vitamin C skincare products come with a number of different forms of vitamin C.
This has a particular importance when thinking about a skin cream. You see, vitamin C in its original form L-ascorbic acid is not very stable when its exposed to the air and is easily oxidized (1). Losing its effectiveness. Instead, for skin creams, it’s best to use a stable form such as sodium ascorbyl phosphate. This will give the product a longer life and means that you don’t have to store it in an airless bottle or in the fridge. You will commonly find these in vitamin C products including moisturizers, serums, and cleansers. They all have the full range of beauty benefits. They stimulate collagen production in the skin and can improve its appearance. Other benefits include protecting the skin from sun damage and related aging. And reducing dark spots and blemishes. Are there any beneficial added ingredients? Most moisturizers will contain other ingredients that enhance its moisturizing and anti-aging powers. Personally, I’m a big believer in trying to use products that contain mostly natural and organic ingredients with proven skincare benefits. I’ve pointed out some of these in the reviews of the products listed below. But you should always take a look at the ingredients list before you buy. This is the good stuff, but you also want to keep an eye out for the bad stuff. Is there anything in it that you want to avoid? Unfortunately, there’s a lot of cosmetic products out there which contain a large amount of added chemicals. Not all synthetic chemicals are harmful to the skin, and it can be difficult to avoid them all of the time. But, there are some additives that have a particularly dubious track record. These can potentially cause health problems. Such as skin irritation, hormone disruption, and more. They are best to avoid if you can. This high-quality moisturizer comes in a 2 oz jar. It’s an all-natural product and is completely free of parabens, gluten, mineral oils, sulfates, and GMO ingredients. And it’s nice to know that it’s a cruelty-free product that’s 100% suitable for vegans. It uses vitamin C ester. This is a highly stable, fat-soluble form of vitamin C that’s easily absorbed. Giving minimal irritation compared to other types. I love that it also includes vitamin E. The two work together to amplify their antioxidant effects when applied to the skin. Botanical hyaluronic acid and coconut oil help to keep moisture in the skin. Organic neem seed oil provides antibacterial action to keep acne and pimples away. Vitamin b3 (niacinamide) has been included for its ability to increase the regeneration of skin cells. It can also improve skin elasticity. This is an excellent moisturizer for people with sensitive skin. But it’s also suitable for people with dry, combination, normal, or oily skin. I really like that not only are all the ingredients natural, but it’s 84% organic as well. The reason it’s not 100% organic is that the organic label can only apply to ingredients that are farmed organically. And the vitamin C itself can’t be considered organic. But it contains a nice amount of vitamin C at a 15% concentration. Which helps to produce its beneficial effects. People report excellent results at brightening and improving their complexion. And clearing up blemishes and acne. And its anti-aging effects improve the skin’s appearance and texture. The skin absorbs it without leaving it feeling oily or greasy, and it’s free of fragrance. Another thing I really like is their choice of preservative. Most products use chemical preservatives, with phenoxyethanol being very common. While this is considered safe in very small quantities (2), it’s still a point of debate (3). Some people prefer not to use it. This product from TruSkin Naturals comes in a 4 oz bottle. It can also be purchased in 2 oz and a larger 50ml size container. The vitamin C is at 15% concentration and is present in the form of sodium ascorbyl phosphate. It’s free of sulfates, phthalates, and parabens. And it’s also an animal cruelty-free product that vegans can use. This cream has a great consistency. It’s smooth, goes on easily, and feels great on the skin. People report that it’s effective at reducing lines and wrinkles with regular use. And it fades age spots and areas of hyperpigmentation. It doesn’t contain any artificial fragrances, and most people say that the smell of the cream is almost unnoticeable. This vitamin C moisturizing cream by Body Merry comes in a 1.7 oz bottle. It largely consists of natural and organic ingredients and is leaping bunny certified. Proving that it’s animal-cruelty free. The vitamin C it contains is the stable sodium ascorbyl phosphate. Of which it contains a 22% concentration. However, studies have indicated that the optimum concentration for vitamin C absorption by the skin is 20%. And that greater concentration is actually absorbed worse. Botanical hyaluronic acid, jojoba oil, sunflower oil, and shea butter for moisturization. Aloe vera to soothe inflammation. Vitamins B3 and B5 aid skin regeneration. Co-enzyme Q10 which acts as an antioxidant. It has a pleasant citrus smell, and most people find it’s easily absorbed and tolerated. But, some people with sensitive skin report finding it irritating. People report that it makes skin look radiant after regular use. And improves skin tone and texture. Can be irritating to sensitive skin. High vitamin C concentrations can sometimes be like this so it comes with the territory. This moisturizer from Amara Organics comes in a 1.7 oz bottle. It contains mostly organic and natural skincare ingredients. Without any artificial fragrances, dyes, or parabens. It’s a cruelty-free product that’s made in the USA. Besides vitamin C, it contains some other ingredients. It has coconut oil, sunflower oil, cocoa butter, and jojoba oil to provide deep moisturization. Aloe vera, which soothes irritation, inflammation, and dryness. Cocoa butter, which moisturizes and is good for all skin types. This product is easily absorbed by the skin, leaving it well moisturized. One of the great things about this hydrating cream is how many people report seeing significant improvements after regular use. It helps to remove fine lines, improve skin tone, and leaves the skin glowing. The vitamin C type that it contains is 5% sodium ascorbyl phosphate. This helps to give the cream a long shelf life. Some people don’t like its distinctive cocoa butter smell. Although this fades quickly. This vitamin C facial cream by Andalou Naturals is available in a 1.7 oz jar. The vitamin C is in the form of magnesium ascorbyl phosphate, at an unstated %. The product contains all natural ingredients, many of which are organically grown. And there are no petrochemicals, sulfates, parabens, phthalates, synthetic fragrances, or colors. No GMO plants are used and it’s leaping bunny certified as animal cruelty-free. I like the added vitamin E because of its previously mentioned synergistic effects with vitamin C.
And it’s great that this is another product that doesn’t contain synthetic chemicals. There are too few vitamin C moisturizers about that are like this. 1. It’s advised to use a moisturizing face cream twice a day. Once in the morning, and once in the evening. This is particularly recommended for people with dry skin. 2. The best time to use it is after you have had a shower, bath, or have cleansed your face. When the skin is moist it’s easier for the active ingredients in the cream to absorb. 3. Get into the regular habit of moisturizing. Set a beauty routine where you do it at the same times each day. 4. While your face is still moist from washing, take a small amount of the best vitamin C face cream between your fingers and gently rub it in using upward strokes. Using a vitamin C face cream on a daily basis is a great way to keep your skin well moisturized. And also take advantage of its anti-aging and protective beauty benefits. With regular use, this treatment can even repair some of the age-related damage that you can see in the mirror. And brighten your complexion. There are many decent products available on the market. But our top choice of the best face moisturizer with vitamin C is the one by About Face Organics. This is because of its high vitamin C content and impressive list of natural and organic beauty ingredients. I am very happy to have found your article on vitamin C face creams. Do you have an article on vitamin C body creams as well? 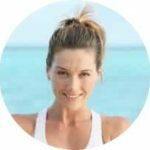 Important Disclaimer: The information and recommendations found on Always Healthy Living are for informational and educational use only. Statements found on this website have not been checked by the FDA and the information and products that appear on this site are not supposed to prevent, cure, treat, or diagnose illness or disease. Before acting on any of the advice contained on this website please take the time to consult a medical expert.